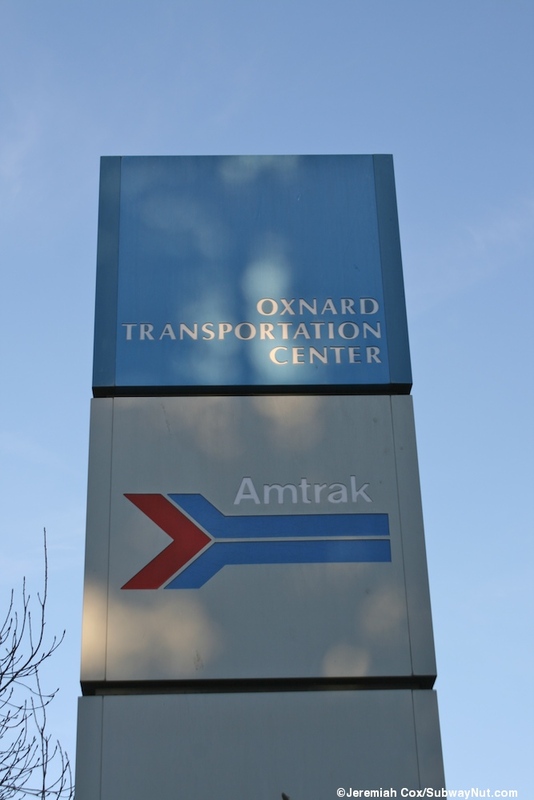 Oxnard is the one city between Santa Barbara and Los Angeles that has been served continuously since the creation of Amtrak with the Coast Starlight always stopping. 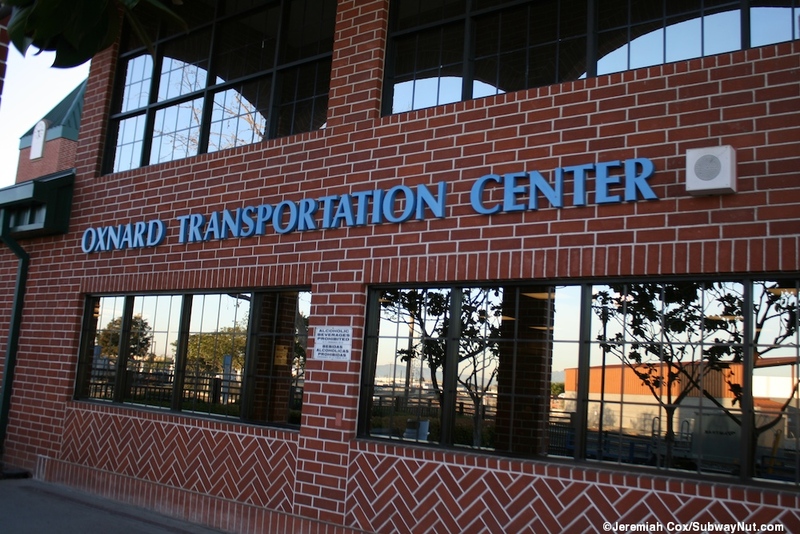 The current station is at the Oxnard Transportation Center which opened in 1987, when the single daily train, the Coast Starlight started stopping there. 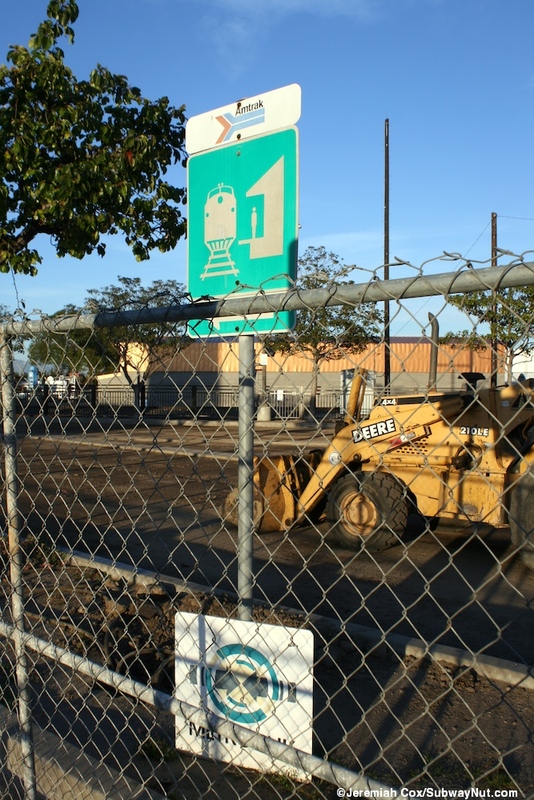 Trains stopped previously at the SP Depot just south of the current station at 273 East 5th Street, now one of stations parking lots. 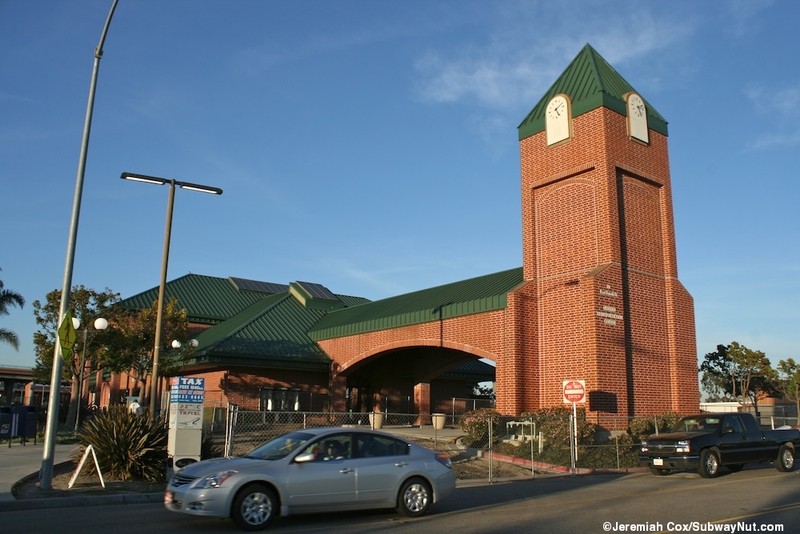 Since the new station opened train service to Oxnard has slowly increased, the first extended San Diegan (name of the Pacific Surfliner corridor until 2000) train to Santa Barbara arrived on June 26, 1988. 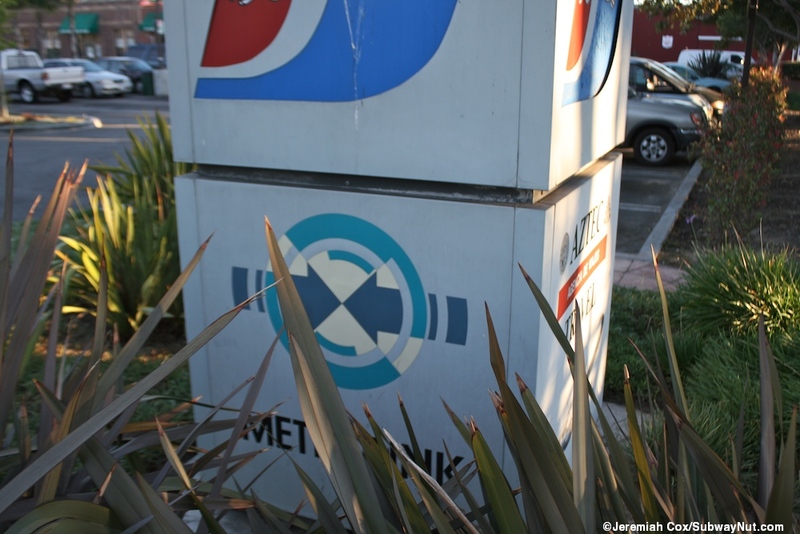 Metrolink trains started serving the station as an emergency measure on April 4, 1994 after the Northridge Earthquake. 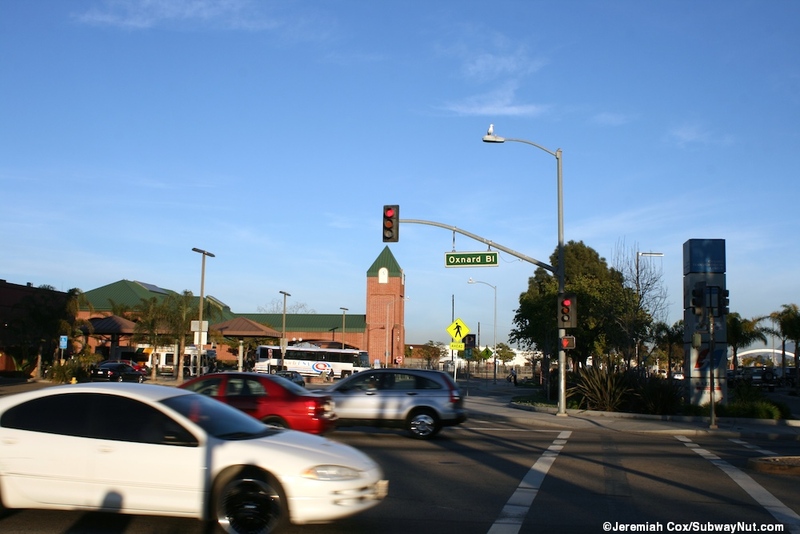 Today there are 3 peak hour Metrolink trips into LA that depart in the AM and arrive in the PM, stored overnight at the yard track at East Ventura/Montalvo Station, PM trains stop to discharge passengers only, prohibiting travel up to East Venutra. 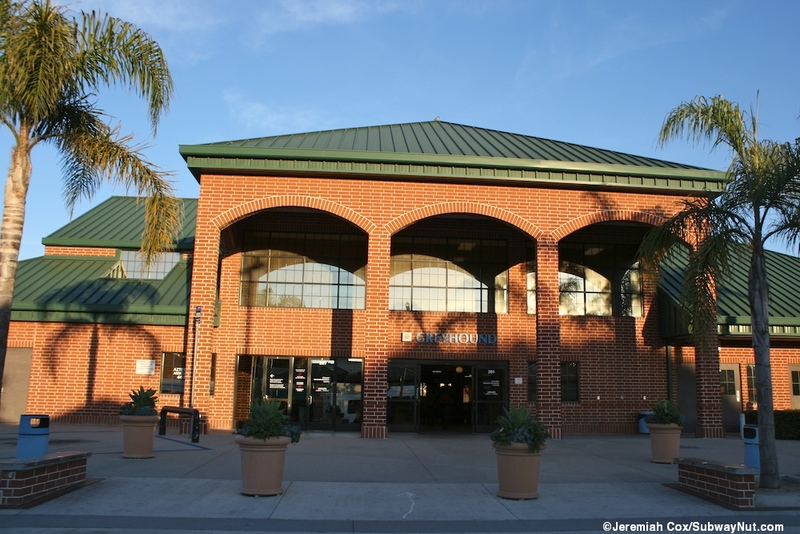 Amtrak service is from the Pacific Surfliner's have five daily round trips plus the daily Coast Starlight. 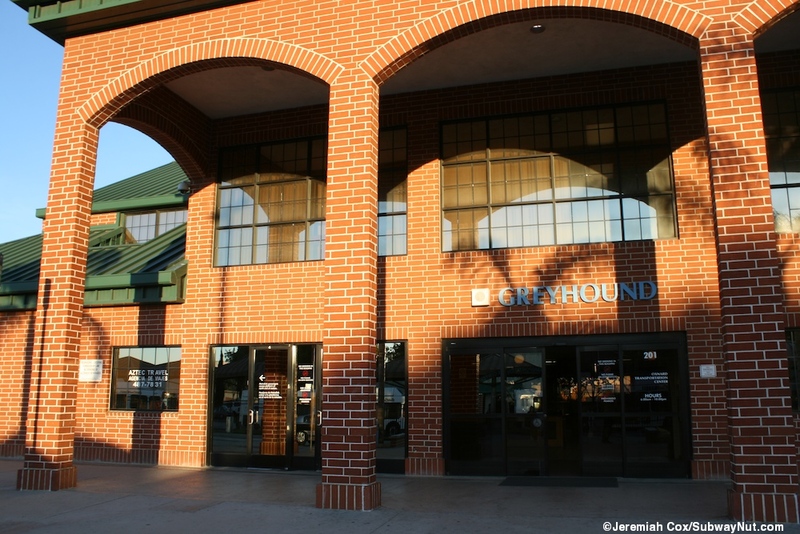 The station is fully staffed with baggage service for all train departures The station is at a Multi-Modal Transportation Center serving three-daily Amtrak thruway round-trips to Bakersfield to connect with the San Joaquin, one supplemental bus round-trip to Los Angeles, Greyhound, and is also a hub for the local Gold Coast Area Transit with 11 bus routes. 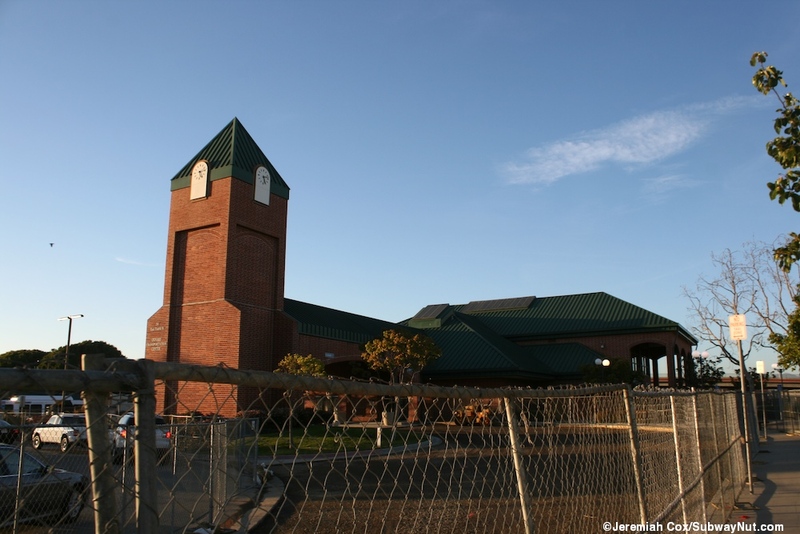 The Transit Center is on the edge of downtown at the end of Enterprise Street where it curves to become Malta Street. 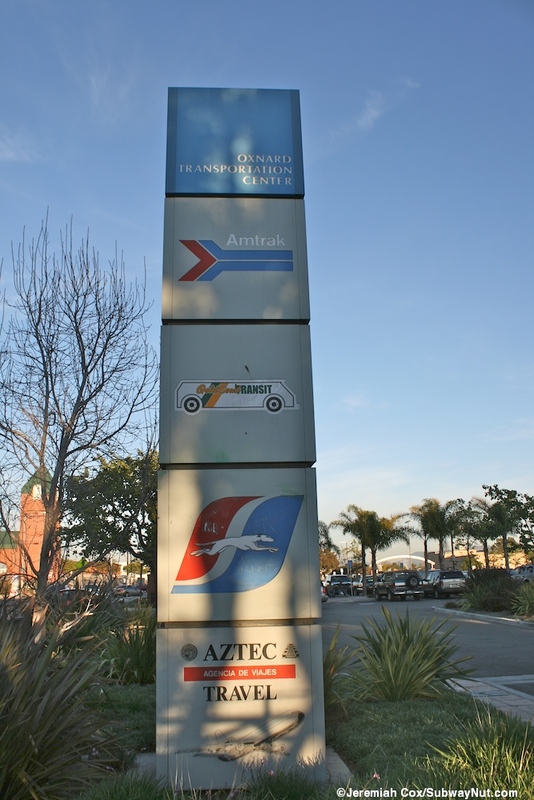 Approaching the transit center from the west, first is a bus loop with a single shelter in the middle for Gold Coast Area Transit, just beyond it on the southern side of the transit center is the modern building. 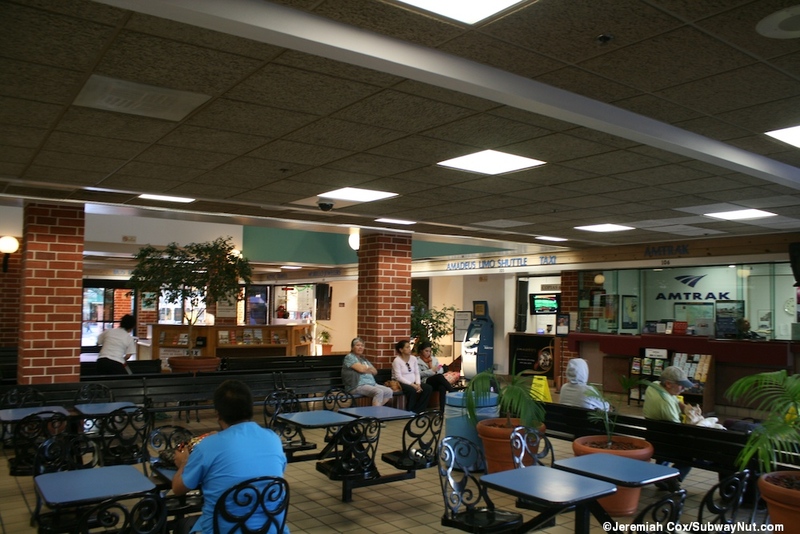 It is a brick structure with a green roof and a central area inside where the Amtrak, Greyhound and local taxis ticket offices are, restrooms, tourist information, vending machines, a food concession, and both tables and benches for waiting passengers. 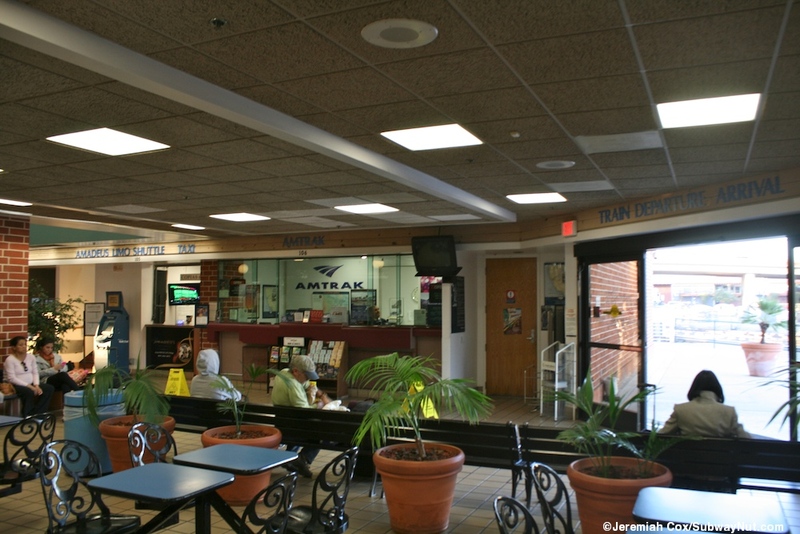 There is a regular Amtrak Quik-Trak machine next to the small ticket office with two windows and a single luggage check opening. 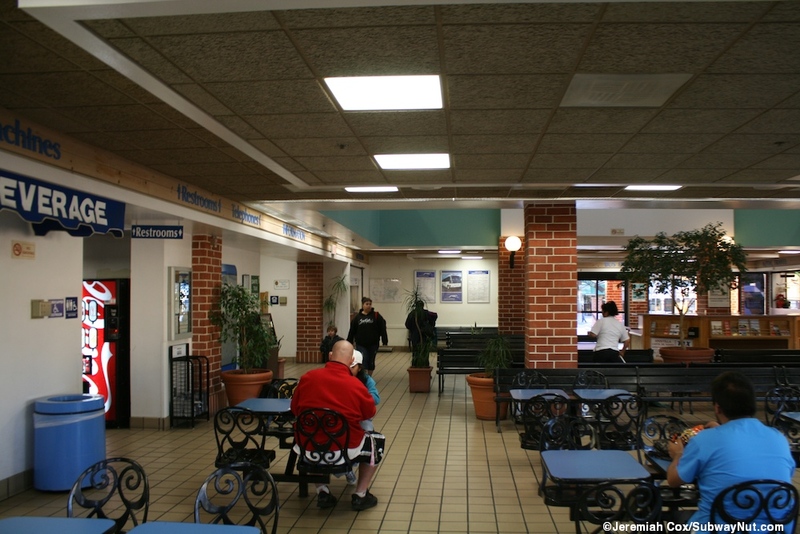 Gold Coast Transit has an office who's only entrance is from a separate outside door. 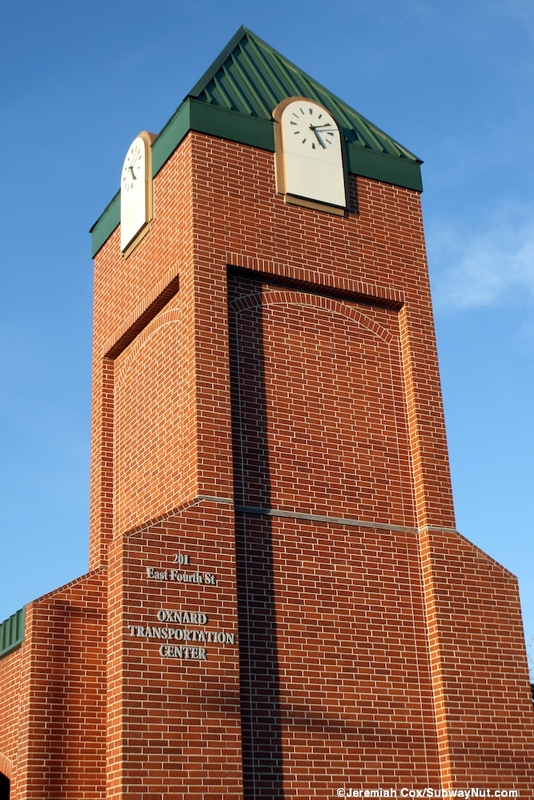 The southern side of the depot has a covered unloading area for a small passenger drop-off circle and beyond it a spire and clock tower. 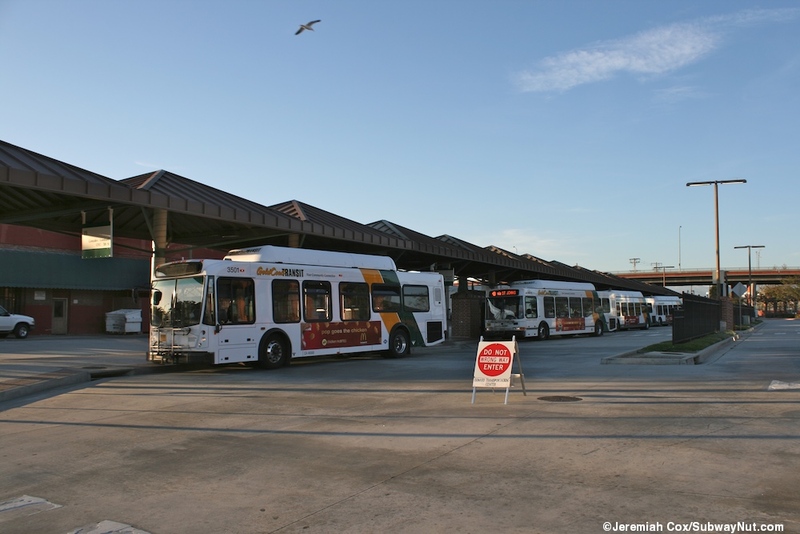 Intercity buses stop at six pull in and back out bus bays. 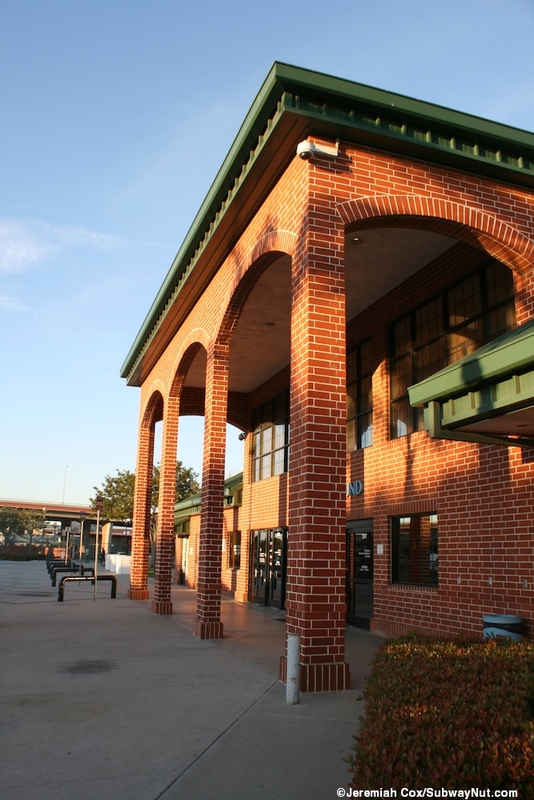 The train platform (used by Amtrak and Metrolink), starts north of the depot with two separate gates that can be opened and closed (when no trains are scheduled), there are Metrolink TVMs right outside these gates, and extends north, with 3rd Street crossing the tracks on an overpass midway along the platform. The platform is curving and has a tactile warning strip. 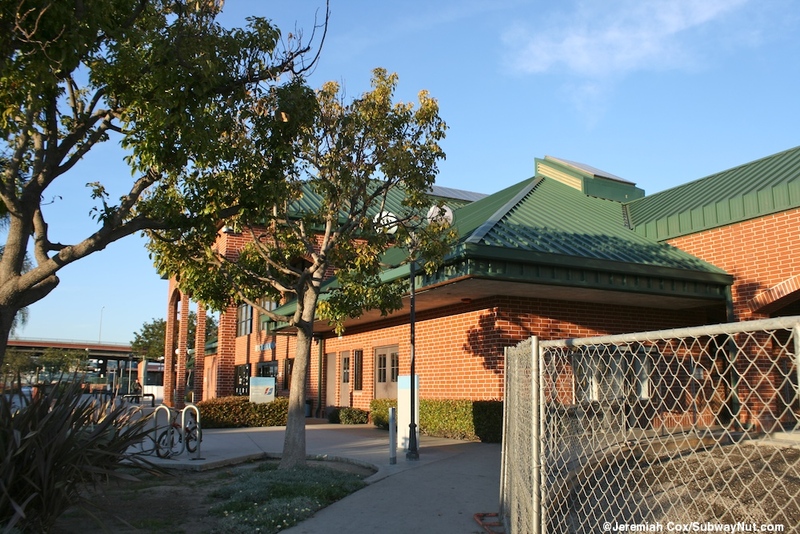 At the southern end is the Metrolink required wheelchair ramp mini-high platform and there is also a mobile-lift for Amtrak trains left out in the open. 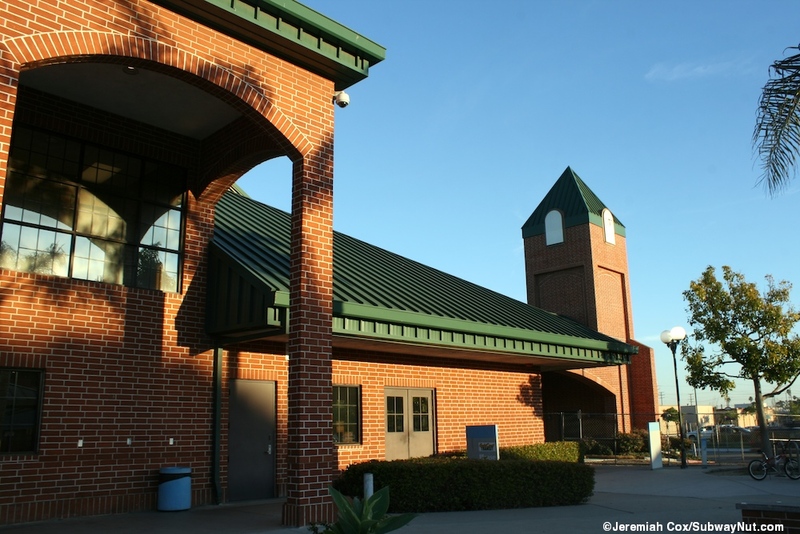 There are two separate small canopies along the platform with brick pillars and a green roof (like the depot) beneath these are the only benches for waiting passengers. 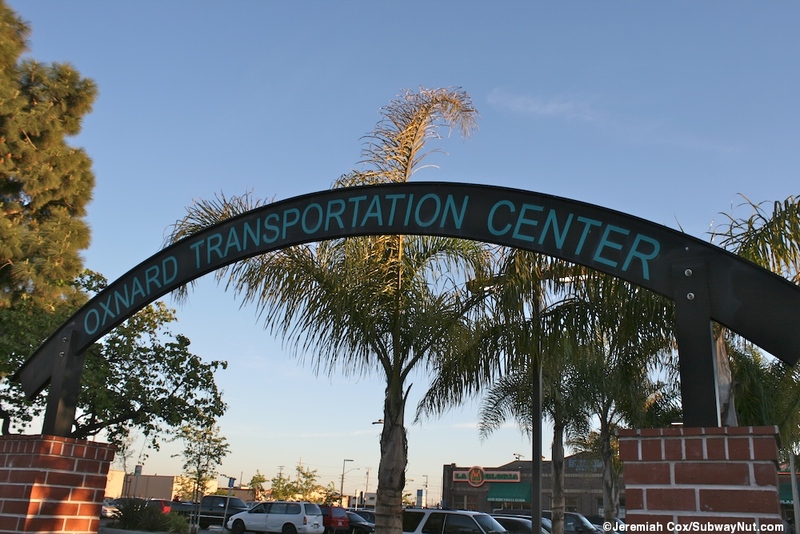 These have little green text on white Oxnard signs with Elevation 61 Feet beneath in white on green. 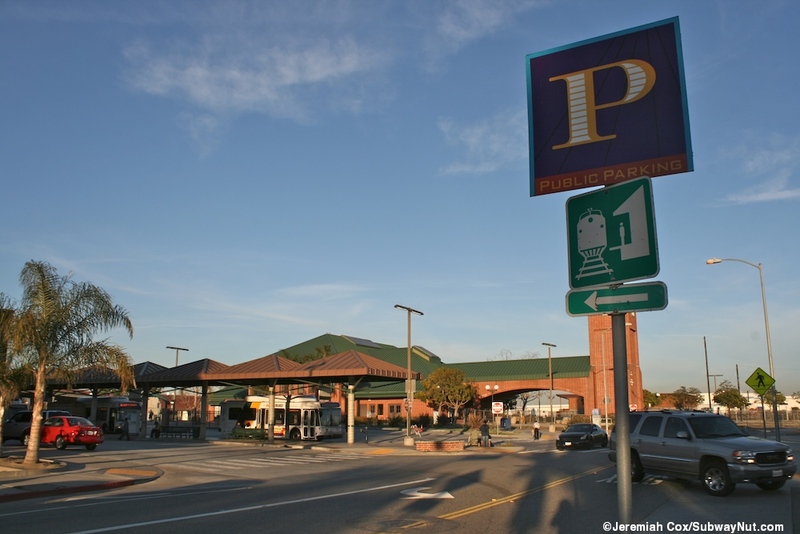 The green lamposts with decorative tops that line the platform have similar signs 100 total parking spaces are provided in two separate lots south of the station, one is where the original station on the Coast Starlight appears to have been.